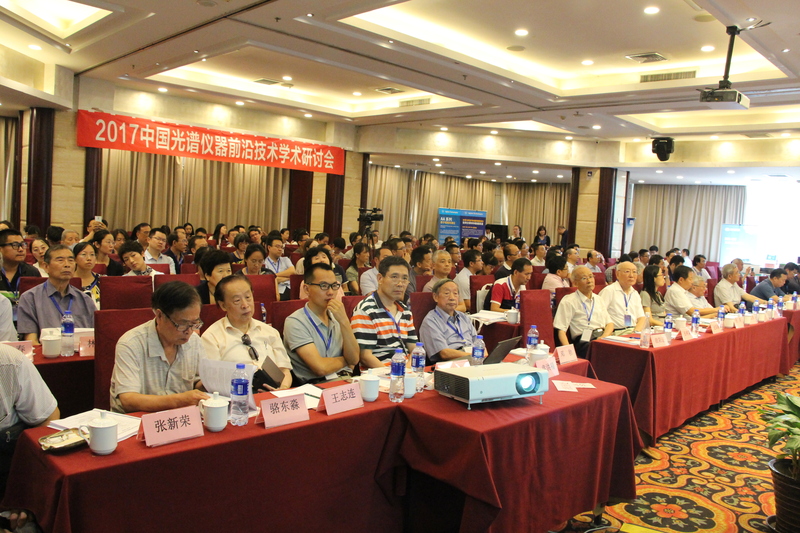 Abstract　With increasing problems of food quality, rapid and non-destructive detection technology has become the research hotspots. Low-Field Nuclear Magnetic Resonance (LF-NMR) is a new non-destructive testing technology which has advantages of fastness, accuracy and intactness. In this paper, the technology of LF-NMR applying in food detection at home and abroad is summarized. And its applications are mainly discussed here including elaborating on the moisture testing and glass transition, identification in food safety and intact detection of fruit quality. Additionally, future directions in the development of LF-NMR for food industry are also discussed. 赵婷婷, 王欣, 卢海燕, 刘宝林. 低场核磁共振结合主成分分析法在食用油脂品质分析中的应用[J]. 现代食品科技. 2014, 30(9): 179-185. 王永巍, 王欣, 刘宝林, 史然, 杨培强. 低场核磁共振技术检测煎炸油品质[J]. 食品科学. 2012, 33(6): 171-175. 孔保华, 夏秀芳. 微生物源肉类食品安全的现状分析及检测技术[J]. 肉类研究. 2009, (9): 47-51. 斯蒂芬, 勃格, 希格玛, 布朗, 陶家洵. 《 核磁共振实验 200 例——实用教程 (原著第三版)》[M]. 2008. 87-87 p.
　范明辉, 范崇东, 王淼. 利用脉冲 NMR 研究食品体系中的水分性质[J]. 食品与机械. 2004, (2): 45-48. 刘颖, 曹佳佶, 章浩伟, 何亚金, 徐欣欣. 低场核磁共振技术快速检测鲜乳水分方法研究[J]. 食品科学. 2014, 14: 018. 朱丹实, 吴晓菲, 刘贺, 徐永霞, 励建荣. 水分对生鲜肉品品质的影响[J]. 食品工业科技. 2013, 34(16): 363-366. 杜美红, 孙永军. 低分辨核磁共振技术在食品安全分析检测中的应用[J]. 食品工业科技. 2013, 34(21): 374-376. 陈森, 孟兆磊, 陈闰堃, 李赫楠, 张师平, 吴平. 樱桃水分变化的低场核磁共振[J]. 实验室研究与探索. 2013, 32(8): 52-54. 苏悟, 郑小芬, 范琳, 欧阳晶, 陶湘林, 李梓铭, et al. 应用核磁共振法研究豆豉发酵过程中水分的变化规律[J]. 粮油食品科技. 2014, 22(1): 95-99. Foucat L, Lahaye M. A subzero 1 H NMR relaxation investigation of water dynamics in tomato pericarp[J]. Food chemistry. 2014, 158: 278-282. Salomonsen T, Sejersen MT, Viereck N, Ipsen R, Engelsen SB. Water mobility in acidified milk drinks studied by low-field 1 H NMR[J]. International dairy journal. 2007, 17(4): 294-301. Pearce KL, Rosenvold K, Andersen HJ, Hopkins DL. Water distribution and mobility in meat during the conversion of muscle to meat and ageing and the impacts on fresh meat quality attributes—A review[J]. Meat Science. 2011, 89(2): 111-124. Bertram HC, Straadt IK, Jensen JA, Aaslyng MD. Relationship between water mobility and distribution and sensory attributes in pork slaughtered at an age between 90 and 180 days[J]. Meat science. 2007, 77(2): 190-195. 林向阳, 阮榕生, 陈卫江, 张锦胜, 刘玉环, 饶平凡. 不同配方面包制品的核磁共振状态图的研究[J]. 食品科学. 2006, 27(10): 210-214. 周顺华, 陶乐仁, 刘宝林. 玻璃化转变温度及其对干燥食品加工贮藏稳定性的影响[J]. 真空与低温. 2002, 8(1): 46-50. 赵黎明. DSC 和脉冲 NMR 研究食品的玻璃化和玻璃化转变温度[J]. 食品科技. 2004, (1): 14-16. Ruan R, Long Z, Chen P, Huang V, Almaer S, Taub I. Pulse NMR study of glass transition in maltodextrin[J]. JOURNAL OF FOOD SCIENCE-CHICAGO-. 1999, 64: 6-9. Pitombo RN, Lima GA. Nuclear magnetic resonance and water activity in measuring the water mobility in Pintado (Pseudoplatystoma corruscans) fish[J]. Journal of Food Engineering. 2003, 58(1): 59-66. Vodovotz Y, Dickinson LC, Chinachoti P. Molecular characterization around a glassy transition of starch using 1H cross-relaxation nuclear magnetic resonance[J]. Journal of agricultural and food chemistry. 2000, 48(10): 4948-4954. 林向阳, 何承云, 阮榕生, 张锦胜, 陈卫江, 朱榕璧. MRI 研究泠冻馒头微波复热过程水分的迁移变化[J]. 食品科学. 2005, 26(8): 82-86. Chung MS, Ruan R, Chen P, Lee YG, Ahn TH, Baik CK. Formulation of Caking‐Resistant Powdered Soups based on NMR Analysis[J]. Journal of food science. 2001, 66(8): 1147-1151. 林向阳. 核磁共振及成像技术在面包制品加工与储藏过程中的研究 [D]: 南昌: 南昌大学, 2006. 张欣, 于瑞祥, 方晓明, 丁卓平. 橄榄油掺假检测技术的研究进展[J]. 中国油脂. 2013, 38(3): 67-71. 裴高璞, 史波林, 赵镭, 高海燕, 支瑞聪. 蜂蜜质量市场动态及掺假检测方法现状分析[J]. 食品科学. 2013, 34(15): 329-336. 杨志敏, 丁武. 原料肉中掺大豆蛋白的近红外检测技术的研究[J]. 肉类工业. 2010, (10): 29-33. 姜潮, 韩剑众, 范佳利, 田师一. 低场核磁共振结合主成分分析法快速检测掺假牛乳[J]. 农业工程学报. 2010, 26(9): 340-344. 邵小龙, 张蓝月, 冯所兰. 低场核磁技术检测芝麻油掺假[J]. 食品科学. 2014, 20: 022. 王乐, 黎勇, 胡健华. 核磁共振法鉴别食用植物油掺伪餐饮业废油脂[J]. 中国油脂. 2008, 33(10): 75-77. 王胜威, 母应春, 赵旭, 杨旭卉, 文飞, 苏伟. 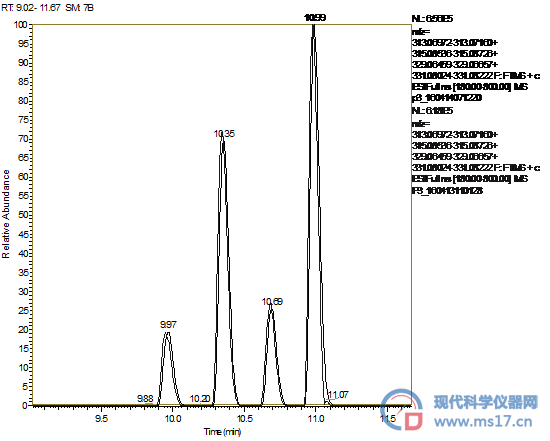 基于 LF-NMR 弛豫特性对注水, 注胶羊肉辨别研究[J]. 食品工业. 2015, 6: 052. 吴艺影, 章倩汝, 韩剑众, 曲道峰. 基于低场核磁共振技术的注胶肉快速检测[J]. 肉类研究. 2013, 3: 009. 齐银霞, 成坚, 王琴. 核磁共振技术在食品检测方面的应用[J]. 食品与机械. 2008, 24(6): 117-120. Barreiro P, Zheng C, Sun D-W, Hernández-Sánchez N, Perez-Sanchez J, Ruiz-Cabello J. Non-destructive seed detection in mandarins: Comparison of automatic threshold methods in FLASH and COMSPIRA MRIs[J]. Postharvest Biology and Technology. 2008, 47(2): 189-198.